Vaishno Devi temple is a holy destination for all devotees who hold divine Goddess Shakti in high esteem and believe in the power of Maa. 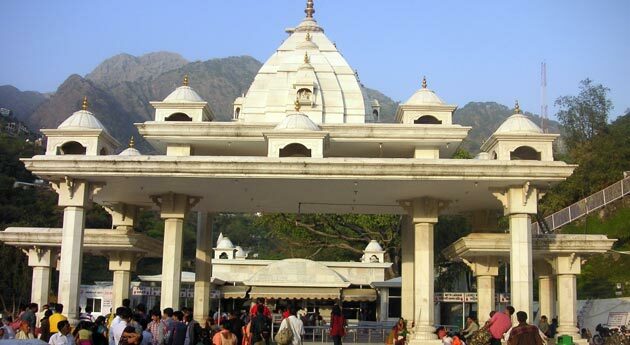 India Pilgrim Tours is introducing 3 Days Mata Vaishno Devi tour package (By Road) tour to take all the devotees of Goddess Shakti to visit the pristine temple of Mata Vaishno Devi. 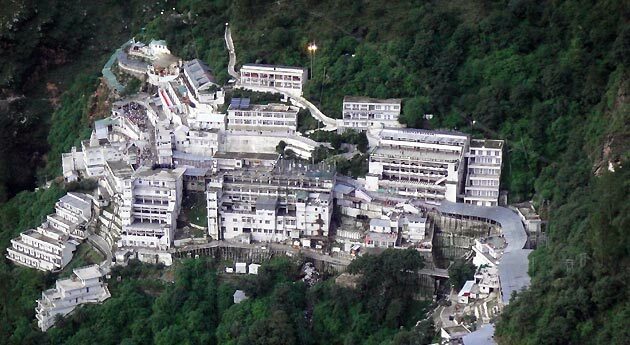 Vaishno Devi temple is situated atop the Trikuta hills at an altitude of 5200ft. and is dedicated to Mata Vaishnavi. Pilgrims come to visit this pious temple not only from India but from all corners of the world. This majestic temple is second after Tirupati Balaji temple in terms of donation received from all parts of the world. The holy cave of the temple is just 15 Kms from the base Katra. The Vaishno Devi yatra package provides one with sufficient time to seek the divine blessings at the holy Darbar. After arriving at Jammu airport or railway station, meet our representative who arranges a smooth transfer for you to Katra. On reaching Katra, check-in at one our listed hotel to relax in the cozy comforts of its room. 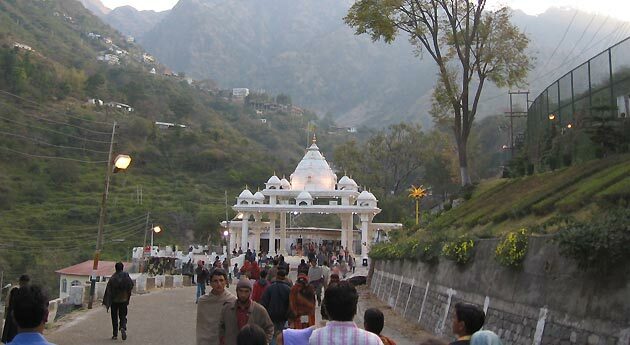 After straightening your backs for a while start trekking towards the divine Vaishno Devi Shrine. The 15 kms trek to Vaishno Devi takes around 5 to 6 hours to arrive at the cave temple. On the way there several eateries where one can enjoy sumptuous delicacies. After reaching temple join the bee-queue to go inside the Darbar. The cave temple houses three pindies symbolizing three forms of Goddess Shakti: Goddess Lakshmi, Goddess Kali and Goddess Sarswati. Once inside the cave, have Darshan. If you wish you may also buy the Prasad being sold by the vaisnodevi shrine shop. Next morning begin your day descending towards Katra. It will approximately take 4 to 5 hours to reach back. The rest of the day is free for the leisure activities. Enjoy a lavish dinner and a comfortable overnight stay at the hotel. On last day Vaishno Devi tour package, after breakfast, transfer to Jammu airport/railway station and board a flight/train for your onward destination.